Hayley specialises in Crime and Prison Law. Hayley is hard working, tactically astute and meticulous in her preparation and is noted for her excellent client care skills and attention to detail. Hayley defends in a broad range of cases encompassing; Homicide and Serious Violence, Firearm Offences, Fraud, Perverting the Course of Justice, Serious Sexual Offences, Drug Supply and Terrorism. All D’s charged with the intentional disruption of services at an Aerodrome contrary to Section 1(2)(b) of the Aviation and Maritime Security Act 1990, and infrequently used piece of terrorist legislation. Issues include whether D’s actions were ‘unlawful’ within the meaning of the Act, and Necessity. This case overlaps other areas of law such as Protest Law, Immigration, International Lae and Human Rights. R v P, and 2 others:- Central Criminal Court – Led Junior – Defending D1. Highly complex medical evidence relating to the multifactorial cause of death, which was recorded as Asphyxia following Restraint. Complex legal arguments as to the extent of the duty of care owed by D, if that duty was breached, causation, whether death was reasonably foreseeable, subjective recklessness, and whether any alleged breach was gross in nature. R v A, and 7 others:- Snaresbrook CC – Led Junior – Defending D2. Trial Judge observed :- “both leading and junior demonstrated the highest standards of legal skill, professionalism and commitment….an appropriate ferocity of argument (when required) was delivered, but always with great skill, balance, good sense and good grace”. Issues included D’s fitness to enter a plea and stand Trial. R v K:- Isleworth CC – Ongoing Case. Crown’s case largely consists of cell site and forensic evidence. “Exceptional Circumstances” found, due in part, to the conduct of the CPS. Possession of Firearm with Intent to Cause Fear of Violence. Defence of lawful authority, challenge to the classification of the rifle as being a “firearm”, lack of requisite intent, and disputed identified evidence. Inciting a Child to Engage in Sexual Activity. The first Section 28 Youth Justice and Criminal Evidence case to be heard in London. Legal arguments included; disclosure and admissibility of medical records, admissibility of police records and misconduct of the complainant. A plea to Common Assault was accepted by the Crown, and a low level financial penalty imposed. An 8-day Trial which included numerous recordings of telephone conversations obtained from HMP Belmarsh to cross-examine the complainant (over 3 days) regarding the status of her relationship with D and the commission of any criminal offence. Multiple fingerprint matches to D, recovered from a window frame, inside the property. This was the point of a forced entry. Defence was that D had not been to, or inside, the property. 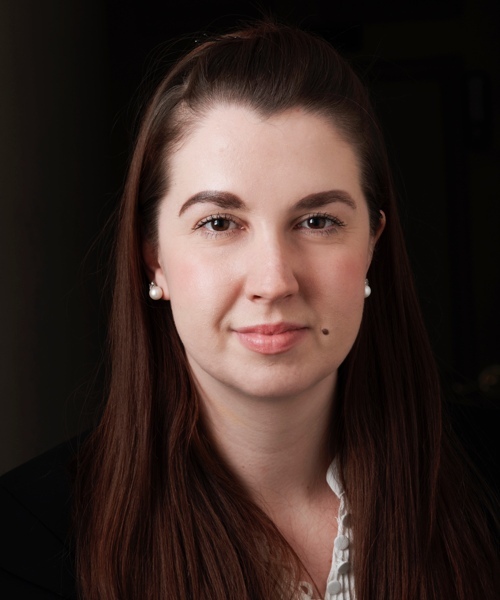 Hayley has represented clients at Parole Board Hearings, for re-categorisation and release hearings, and at Adjudications. Hayley also advises on Home Detention Curfews and Recalls including cases involving an international element. Hayley is currently instructed in a claim for Judicial Review against a prison and the Secretary of State for Justice regarding insufficient resources for prisoners’ subject to an indeterminate sentence, to be afforded the opportunity to demonstrate to a Parole Board that their risk is sufficiently reduced to allow them to be realeased.